Some of us see the world in black and white. Joel Wipperfurth sees the world in heat maps. Well, the farming world at least. He remembers when his brain started thinking this way. It was over 10 years ago as an agronomy intern in southern Minnesota with the Land O’Lakes, Inc. crop inputs and insights business, WinField United. A soybean pest called aphid was new to farms in the Midwest. “I hadn’t seen an aphid before, so I grabbed a map and jumped in our white pickup truck. After seeing the pest on several farms, I started to visualize a heat map of where the pest was — it was affecting a third of our customers,” says Joel, now the director of e-business for WinField United. At the time, Joel and his colleagues couldn’t estimate the impact the small, yellow-bodied insect could have on soybean fields. Neither could farmers. Eventually, after finding the right technologies and products to control the pest, they educated Land O’Lakes’ farmer and retail customers about integrated pest management solutions. Sorry aphids, the rest is history. Since his days as an intern, Joel has taken on several different roles with WinField United. 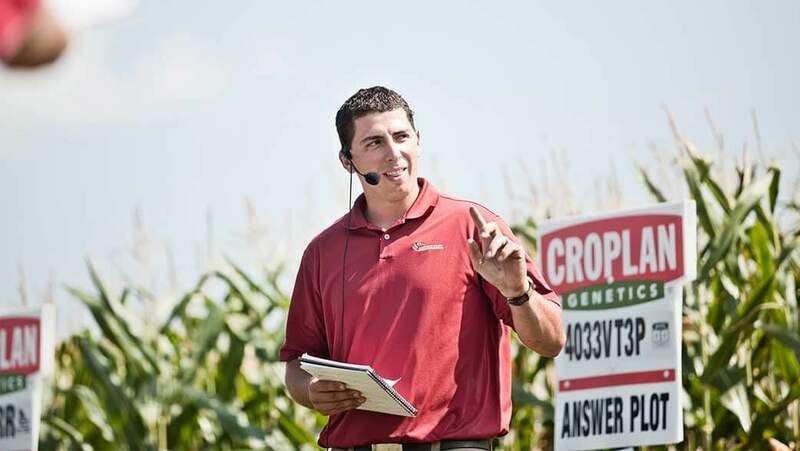 As a Master Agronomist, he worked with large farms and collaborated with local agronomy retailers to help them find customized solutions. Today, as director of e-business, he works to tackle inefficiencies in the supply chain and bring to market new opportunities in ag technology. A continent away from Joel’s day-to-day, a familiar tale is taking place is East and sub-Saharan Africa. Fall armyworm (FAW), a pest native to the Americas, is rapidly sweeping through farmlands in the region. Though the FAW feeds on over 80 different crops, it is causing widespread damage to maize (corn), a staple crop in the region. In a part of the world where about 80 percent of the population relies on their own land to feed their families and earn an income, FAW presents a prevalent threat to the region’s food and economic security. If not addressed, FAW is projected to cause up to $6 billion in losses a year. This is why Feed the Future and partners launched the FAW Tech Prize. The Tech Prize sought innovations that provide timely, context-specific information to enable African smallholder farmers to identify, treat and track FAW. The initiative was supported by Land O’Lakes International Development, a nonprofit affiliated with Land O’Lakes, Inc. This nonprofit often collaborates with Land O’Lakes, Inc. employees like Joel to bring private sector approaches to international farm-to-fork challenges. So, this time around, instead of jumping into a pickup truck, Joel jumped on a plane to the East African country of Uganda. Joel’s role at the Tech Prize was to serve on the judging panel, where he assessed the commercial potential of farmer-friendly, digital innovations and helped the competitors with their solutions. Innovations had to provide relevant information, be accessible to a wide range of users and have the potential to scale. Mechanical, chemical, biotech and mathematical — Joel describes these as the four eras of agriculture. They haven’t reached everywhere. In many parts of the world, planting, weeding and managing pests are done by hand. Tractors, herbicides, drone technology, hybrid seeds — they simply aren’t available. And yet, farmers around the world are using smart phones. Tech Prize finalists came ready to offer farmers something they didn’t have before — digital information that helps them make informed decisions. 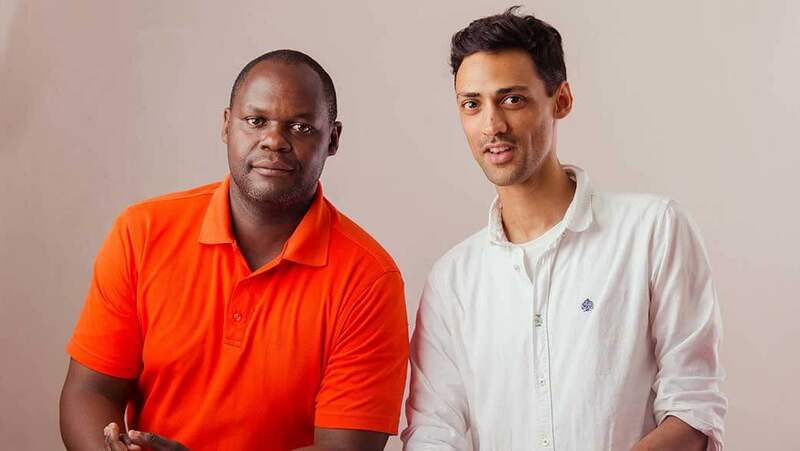 And, the Tech Prize winners — announced in November at the AfricaCom conference in South Africa — do just that. Last month, six FAW Tech Prize winners were awarded funding to advance their ideas. The grand prize winner, Farm.Ink, was awarded for its Fall Armyworm Virtual Advisor technology — an interactive digital solution that provides knowledge on how to identify, scout and treat FAW. From cloud-based services to agronomic identification (think iPhone facial recognition for plants) to early detection alert notifications and beyond — Tech Prize winners had one big thing in common: they need each other. “Some applicants had supply chain solutions figured out. Another may know their customers well. Others may have mastered cloud-based data storage. The technologies are impressive in and of themselves — but bring them together, they have an integrated solution to FAW,” says Joel. Tech Prize winners will use the funding to invest in product development, hire employees and scale their business to bring the solution to market — all with a broader goal of working together to help farming families to stop the FAW epidemic. With help from data, technology and the art of local agronomy, farmers near and far are seeing the world in a new light. By Ashley Peterson, Land O’Lakes Inc.
Photo Credit: Land O’Lakes Inc., A Farmer Working In The Field.